Our blog about all things custom kitchen and bathroom cabinets. We share our current and past projects, our building process, and have some fun too. Looking for granite countertops in Orlando FL? If so, this article if for you. We showcase Central Florida's best countertop companies. Looking for the best custom home builders in Orlando, FL? If so, this article showcases the area’s top new construction house builders. What’s the difference between stock, semi-custom, and custom cabinets? It’s often the first step in your kitchen cabinet search. I lay out the differences in this article. The Spring 2014 Brevard County Parade of Homes is finally here. It’s that special week for all of us house lovers who enjoy snooping around to see the latest and greatest in home building. It’s our “Fashion Week”, so to speak. Each Spring, the Home Builders and Contractors Association of Brevard hosts this countywide event featuring many top local builders. Each home builder opens up one of their model homes to the public to showcase their latest home designs. The Parade of Homes is also a great time for local sub-contractors and vendors to show off their skills and products. It’s fun to look at new construction homes, but most of us looky-loos have thoughts of renovating a kitchen, updating a bathroom, putting down new floors, or re-doing an outdoor space. And walking through new homes often inspires creativity and new ideas in our own homes. This year’s event has 17 entries and takes place over the course of nine days, from April 5 – 13. And from Malabar to Titusville, there are homes from north to south and everywhere in-between. With price ranges from $199,900 to $1,095,000 there is something for everyone. Be sure to use this helpful guide to plan out your most efficient route. We here at Cabinet Designs of Central Florida are thrilled to have our cabinetry featured in a DiPrima Custom Homes model in the Veranda Place subdivision. Check out the picture gallery below. Hope you can make out to see some of these great homes from some of Brevard County’s best home builders. I’ll see you out there! Looking for granite countertops in Melbourne, FL or surrounding areas? If so, this article showcases four of Brevard County's best companies. Here's a fun kitchen remodel project we just finished up. 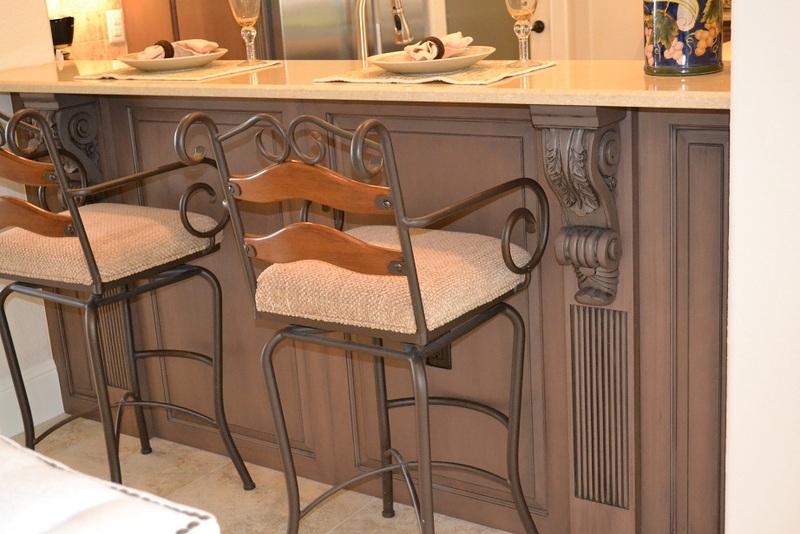 The cabinetry was built in a Bohemian/Key West style with louvered doors. The drawer fronts are shaker and slab. The three color combination of paints and stain, along with the stainless steel appliances make this kitchen pop. Custom kitchen cabinets are known for being more expensive than stock or semi-custom cabinetry. Is it true? What about per linear foot? I’ll answer here. 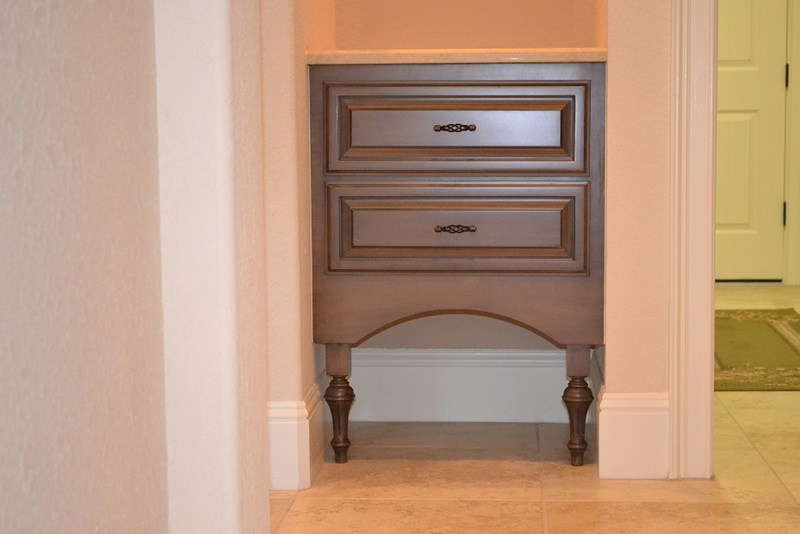 Looking for the best custom home builders in Brevard County, FL? If so, this article showcases the area’s top new construction house builders.